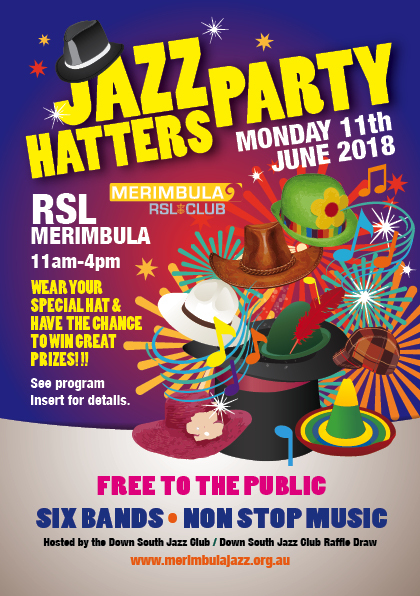 On Monday the Down South Jazz Club will be hosting the Jazz Hatters Party (previously the Jazz Picnic), complete with a line up of toe tapping bands. 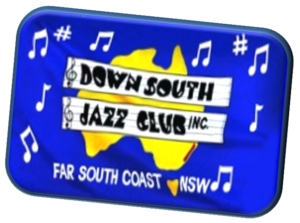 The Down South Jazz Club was formed in 1984 by a small group of jazz lovers, eager to play and hear “their” music on a regular basis. The Club is dedicated to promoting jazz music and encouraging local bands, and holds regular nights for its members (generally on the 3rd Thursday of each month). Over the weekend, check out the Jazz Art on display at Club Sapphire. Each year our local artists produce some stunning artworks around the jazz theme with one chosen to be used as the basis for the following year’s poster.